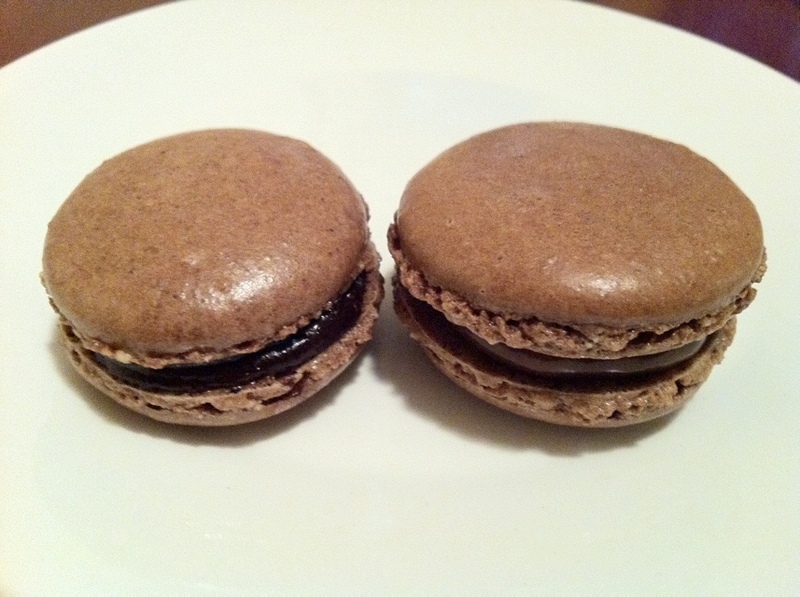 French Macaroons either Dark Chocolate with Earl Grey or Milk Chocolate with Chai! 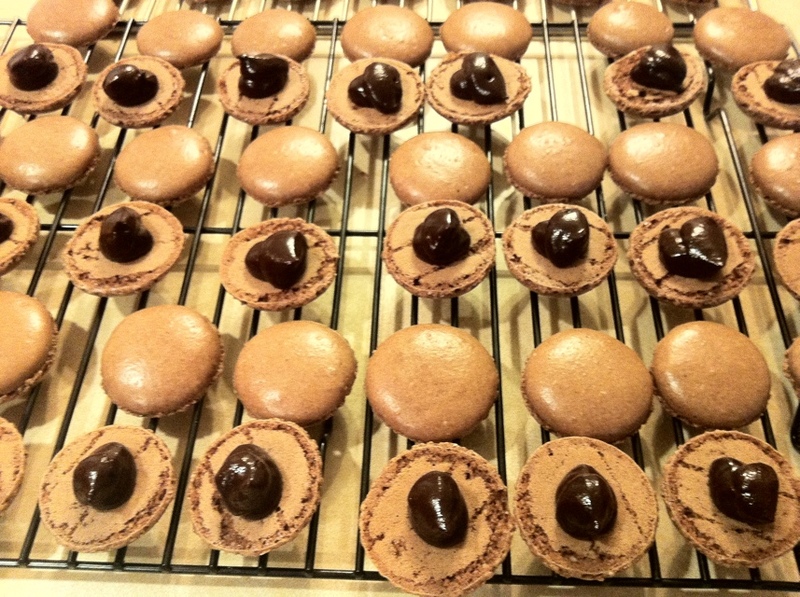 Shells are egg whites, powdered sugar, granulated sugar, cocoa powder and almond flour. Fillings are cream with either tea then strained an mixed with the chocolate. I just had one of these Macaroons that your husband brought to work and it made my day! However, that pizza you posted would probably make my year. It looks so delicious. That’s one lucky kid coming into your tasty world.